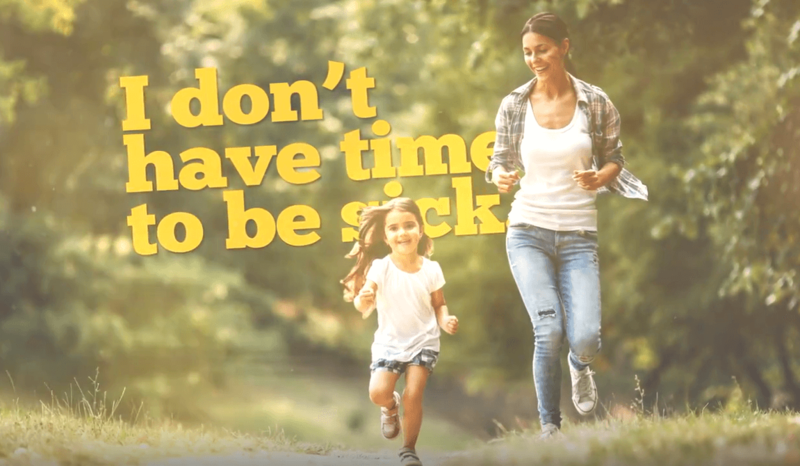 You Don't Have Time to Be Sick. Schedule an appointment with a North Oaks Primary Care Provider today. Why Choose North Oaks for Your Primary Care? Schedule an appointment with a North Oaks provider today! 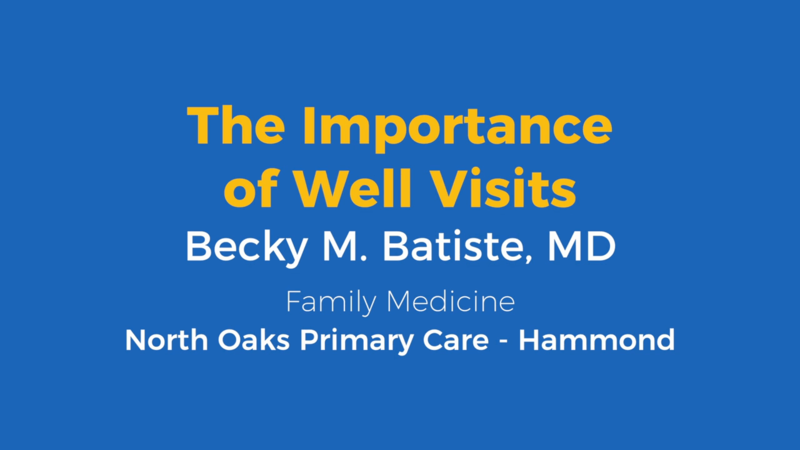 Learn what happy patients have to say about their experience with North Oaks Primary Care. "Dr. Plunkett and his team take excellent care of me and my health issues." "I drive from New Orleans to Hammond because of the excellent care, etc. of Dr. Ducombs and his staff. I know of several other friends, as well as my mother, who do the same." "Dr. Basso and the staff there are always excellent and I refer them whenever given the opportunity." "Mrs. Polly and her staff go above and beyond just helping. They listen and communicate effectively." "Dr. Torres and the staff at North Oaks Livingston are very professional, yet caring people who always seem to have my best interests at heart." "Dr. Harris is one of the sweetest and most caring doctors I've ever had." "I feel very well cared for by Dr. Valdes, his nurse, and all staff at NOFM." "Dr. Spiller is an excellent physician with a professional and friendly staff." "Dr. Robinson always gives me the best care possible." "Dr. Zacharia and staff are sweet, caring and always ready to answer questions and help." "Dr. Drapcho is an excellent doctor!" "Dr. Beyl is great in every way when I visit the office." "Great experience. Established care with Dr. Ingolia and will be using her as my PCP now. Dr. Ingolia was very knowledgeable and was quick." "Ms. Christine is amazing! Best provider ever!" "Michelle was extremely interested in my total health and well being"
"Joan was a great listener -- very friendly and professional." "Dr. Batiste has taken a personal interest in my health and has given me the utmost professional care." "I loved Dr. Siddiqui so much when I moved my son's care to him that I decided to change to him also, both he and his staff are wonderful." "Dr. Martinez is very nice and concerned. Great doctor." "Mr. Dearie was extremely professional and knowledgeable. He explained every thing in such detail and made me feel like I was a part of health care planning process!!" "April McIntyre was amazing. She was above and beyond." 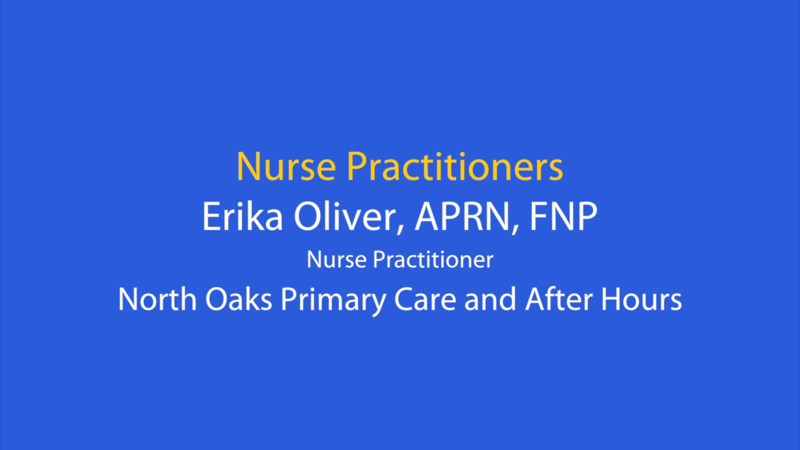 "Erika Oliver, APRN, FNP is the best! I made her my primary care doc. She is so kind and compassionate! Great person!" "Judy Yaple is AMAZING. She's so kind and attentive to needs. Wonderful!" "I enjoy seeing Dr. Heneghan. He is a very good doctor and I trust him very much." You don’t have time to be sick. That’s why well visit appointments are so important. A well visit is a scheduled appointment with your health care provider when you are not sick. This visit helps to prevent health problems and is the perfect chance for you to talk with your provider. 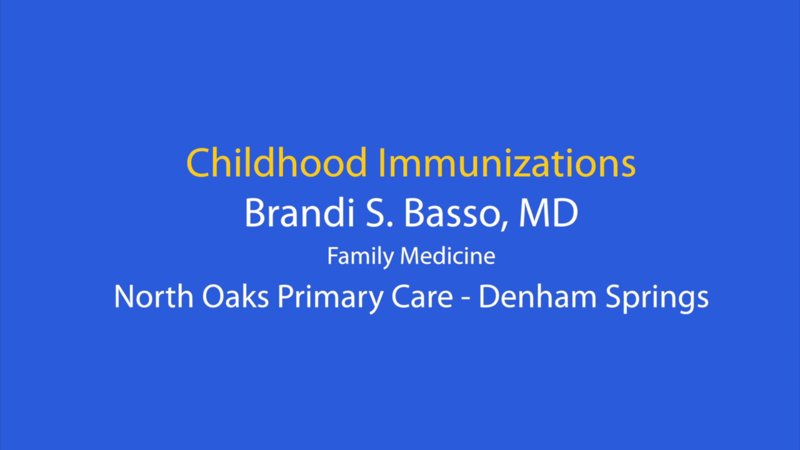 During this appointment, your overall health will be checked and you may receive recommended tests or immunizations. Many insurance plans encourage participants to have a well visit each year. Often, this visit is covered by insurance. However, you should check your health plan before scheduling a well visit. North Oaks primary care providers are part of your health care team and can help connect you with other specialists in our vast network of providers when necessary. Your electronic medical record goes with you regardless of which North Oaks provider you see. © 2019 North Oaks Health System. All Rights Reserved.